Kolkata India is simply “wow”. It is sensory overload, intense, jam packed crowded, very noisy, fascinating, colorful, and rich in heritage and culture. So much is going on simultaneously. The streets are crazy – the expert drivers have near cm-scale precision. 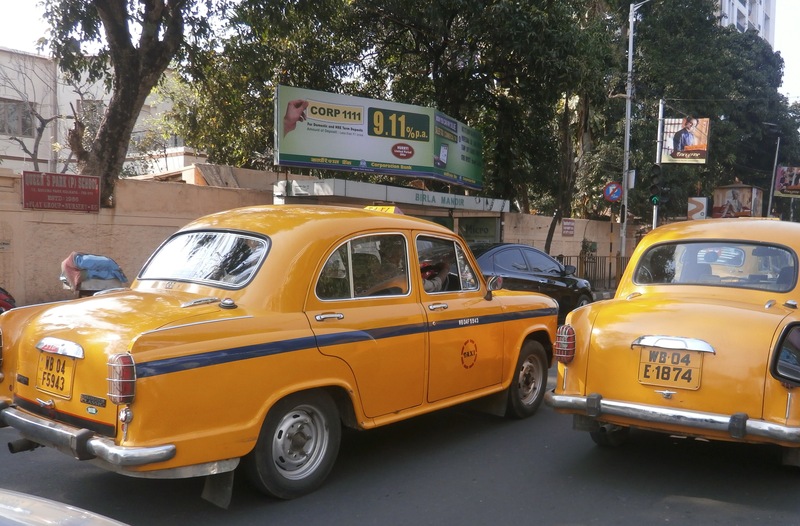 The yellow Ambassador cabs are ubiquitous and honk their horns incessantly. 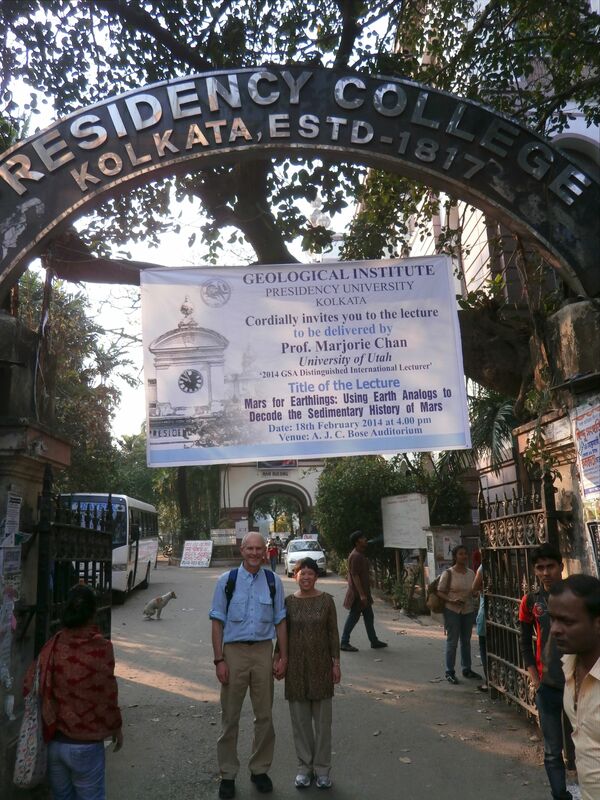 My husband John and I stand at the gate to Presidency University (formerly Presidency College) with a large GSA banner. Engaged students at University of Calcutta discuss concretions (I am in yellow, foreground). What impresses me most are the people I met at Presidency University and University of Calcutta. I was moved by the students who are bright and eager to learn with strong dreams. I will carry fond memories of Kolkata. Margie: You definitely got a taste of Kolkata and I am thrilled to read your brief narrative. Presidency University (previously known as Presidency College) graduated many geologists in the past and some of them are already well-established and reputed in their respective fields and interestingly living in the US. So glad to see things are shaping towards the positive direction and you are able catch the excitement. It’s all about globalization and we shouldn’t miss out any opportunities. Thanks for spearheading GSA’s globalization theme through your gracious involvement as Distinguished International Lecturer.